Walk-in tubs – that is, tubs with a step-through door located in the side-wall and an integrated seat inside – are being aggressively marketed to seniors and persons with disabilities. There is often a stark contrast, however, between the dream of owning a walk-in tub and the reality of doing so. You might find yourself longing to regain the lost luxury of soothing your aching muscles and joints by immersing yourself into a tub of steaming hot water. 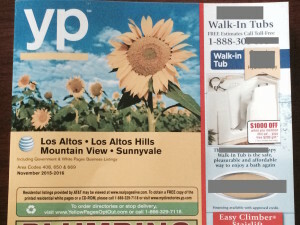 And then, there arrives the latest issue of the local Yellow Pages at your doorstep, with a walk-in tub advertisement on the front page promising exactly what you were looking for: “Pleasure, safety, and independence, at an affordable price!” So you ask yourself after a life of hard work: Why not splurge a little? You might even have the thought that buying a Walk-in Tub is a wise investment that will enhance your ability to remain safe and independent at home. Now, the Walk-in Tub seller who has captured your ear is likely to say but, but, but…our tub has ways to overcome “some” of the problems. Keep your ears open! Just because the model they offer has features that overcome one or more of a Walk-in Tub’s problems — does not mean it is suddenly perfect in all respects. For example, a vendor may inform you that the model they offer provides the lowest door threshold available on the market or a larger drain to make the water exit faster. Yes. These features can fix a few drawbacks classic-style walk-in tubs commonly have, but two more critical problems will still remain: Firstly, that this type of tub is not the future-proof bathing solution most people believe it to be. 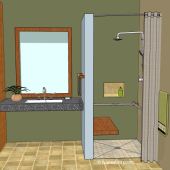 Visit “Buying a Walk-in Tub — Your Biggest Mistake?” to learn more. And, secondly that it is possible to get trapped inside. To learn more about what can “go wrong” when using a walk-in tub, keep reading below. What do Walk-in Tub owners say? Let’s look at some actual user experiences. The following is an excerpt from an email homeability.com received from one of our readers in August of 2015. In it, the reader describes an experience encountered by her husband while using their walk-in bathtub. She informed us her husband is of average height and weight and that he had some weakness in his legs which in turn affected his balance. He slipped and this time he really wedged himself in the bottom of the tub. Everything we tried only got him in tighter. After 3 more hours, he ‘let’ me call the rescue squad and it took them a half hour to get him out. the door is way too narrow. My father is only 148 pounds, and cannot get in/out of the tub without going sideways and stepping down. This is quite difficult, given the weakness in his legs from M.S. the door opens IN, which makes it extremely hard for the elderly person to get out because they have to negotiate not only the narrow opening, but also a door in their way. To quickly recap, from what we have learned about walk-in tubs from these different users, there is a very real potential for the hopes and dreams of owning a walk-in tub to end up in utter disappointment. Most people pay somewhere between $5,000 to $20,000 to have a walk-in tub installed. Many people have reported to us, as well as reported publicly online, that they have not used their tub beyond a handful of times after having it installed. So one wonders, how could it be that a surprising number of seniors are still lured into buying these tubs? It is easy to understand the consumers’ side – namely, the psychology of expectations in regaining a treasured experience. 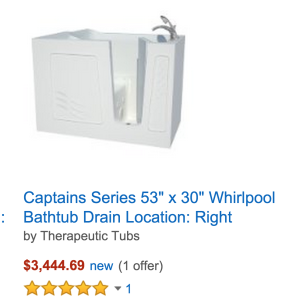 But why don’t more prospective buyers know about all the drawbacks and risks of owning this kind of tub? To better understand this, we researched into the other side of the equation: the manufacturers and retailers. 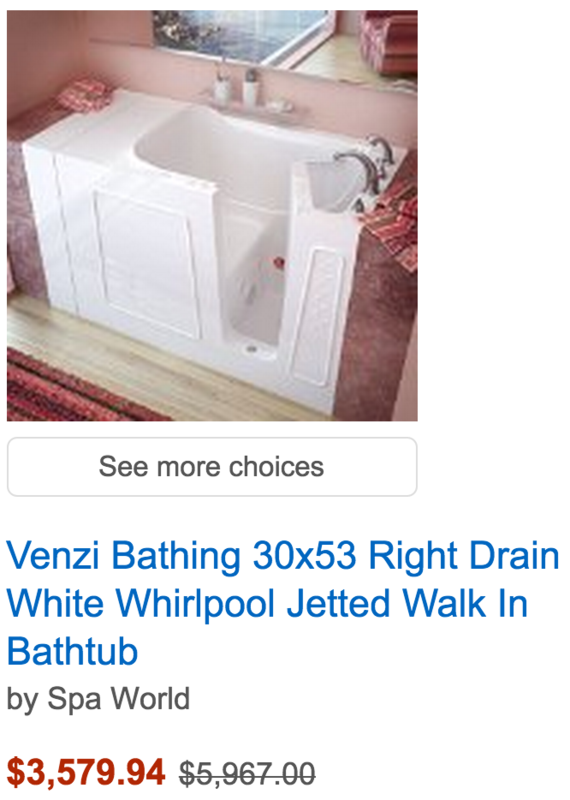 In particular, their marketing and sales strategies for selling walk-in tubs. Our findings are outlined below. The hope to regain bathing safety, convenience, and pleasure is bound to make some of us open up to a degree of gullibility – a willingness to believe aggressive marketing messages about the benefits of walk-in tubs, along with a preparedness to shell out thousands of dollars in the process. This hope for improvement to the quality of life is being exploited by sellers in the walk-in tub industry in a number of ways – from borderline shady practices all the way to outright scams in order to make enormous profit off members of the most vulnerable layer in our society. Here are some examples for such business practices. 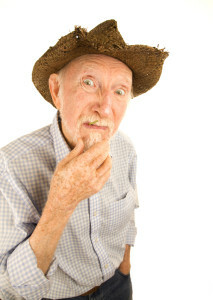 The purpose of this opaqueness allows exploitation of an old-school mindset many seniors exhibit – that of feeling guilty when a person comes into your house and you send them packing without awarding business based on the visit. Along with this sales strategy, aggressive rhetoric is often used to play to the safety fears of seniors and their families, while neglecting to provide a full picture of the potential problems we outlined above. Sellers can therefore cajole people into making a purchase that would have been inconceivable and squashed in its tracks if a quote had been given on the phone. 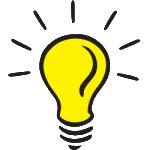 Furthermore, every experienced walk-in tub salesperson knows (and even newbie sellers should know if they received proper training) that there is a high likelihood customers will have to replace their water heater due to the increased water demands of a walk-in tub. 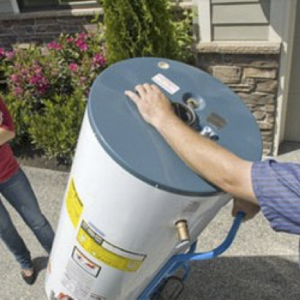 It can be expensive to replace a water heater – adding up to an extra $1,000-$2,000 beyond the price of the installed tub. Salespeople have been known to conveniently withhold this relevant detail until after the tub itself is installed, for fear the additional expense will dissuade the customer from moving forward with their purchase. Some Walk-in Tub purchasers have reported the Installer already had the water heater in the truck ready for purchase as an additional item the same day the tub was installed, but nary a mention had been made about needing a water heater until after the tub was in place. 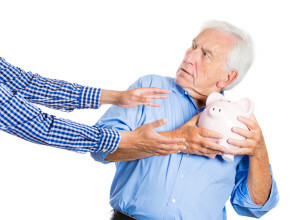 To learn about more potential hidden costs, click here. Finally, some sellers use deceptive labeling practices to try to trick unsuspecting buyers into believing a tub was “Made in the USA” that was not. This tactic is used to try to cheat additional funds out of Americans who are willing to pay more for a product made in the USA. While a few tubs ARE MADE in the U.S., others are actually imported from overseas and just “assembled” in the U.S. Or, in some cases, they have simply had a small, possibly meaningless, feature or two added once they arrive in the States. Catch phrases like “Assembled in the USA”, “Built in the USA”, or “Designed in the USA” usually indicate that the entire tub was not made in the USA. Likewise, be careful when you see “We manufacture tubs made in the USA.” A company can say this if they manufacture just one or two of the different models they offer in the USA, while most of the models they offer may actually be manufactured overseas. To see a list of manufacturers who offer walk-in tubs manufactured in the USA, click here. Another scam used to deliberately diffuse the negative perception of walk-in tubs and, to that end, adding confusion to the industry, is the excessive use of fake review websites. These websites all appear to be posing as if they are a place where consumers can find unbiased reviews, but our research suggests otherwise. No “About Us” Page: None of the websites listed above had a page describing who authored the website when we first reviewed the website – except one. Walkintubreviews.com technically has a page called “About Us,” but it didn’t identify who “Us” is. If they aren’t open about who they are then steer clear. Broken Page Links: A combination of no “About Us” page in addition to a slew of strangely broken page links on each of the websites further leads us to believe these sites are not legitimate. 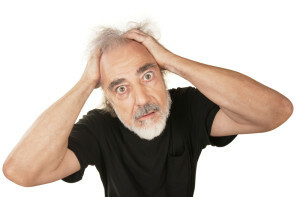 For example, every time we clicked on the name/logo on http://myseniorsource.com/walk-in-tub we got the following message: “Oops! Website currently not available”. Similarly when we visited http://walkintubreviewer.com/ and clicked the link “Need Help? Click to Chat!” we got the following message “Unauthorized Access”. Missing Authorship: There’s often no indication of who authored the reviews. Did someone create a website and make up good ratings and reviews for their own tubs and bad ratings and reviews about their competitors tubs? Our team believes this may be the case because based on our own knowledge of the features of the different walk-in tub models being discussed some statements we read in reviews were clearly bogus. … Many consumers use a simple internet search to see how a product ranks against the competition and performs. With such transparency, there has been a new trend of businesses posing as review websites to sway consumer research about their product and the competition. The majority of these websites say they are a legitimate product review website and purposely write about the competitor’s product in a negative light, while revering the features and benefits on their own product. … The walk in tub industry is bombarded by these “review” websites and most of these are constructed by competitors that have never even seen or touched the product [that they bad-mouth to make their own product appear in a better light]. 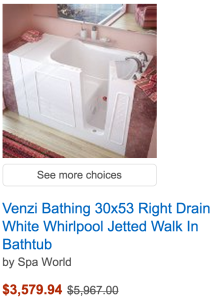 The presence of these fake review sites, inherently unethical, and possibly even illegal in some instances, makes it very hard to identify legitimate reviews to learn the truth about walk-in tubs. Another aspect that destroys transparency and effectively hides the realities outlined in earlier sections of this article, is the use of excessive rebranding. Re-branding refers to the practice of offering the exact same product (here: walk-in tubs) under many different names. You might be reading the reviews for one tub and get a very favorable impression of this model, and then you read the reviews for another tub and think it sounds like a terrible design, when in actuality the two tubs you are reading about might very well be the exact same model offered under different names. 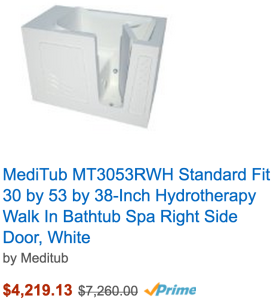 Here are screenshots of a Spa World Tub that sellers have posted online under different names. Would you have recognized that the three tubs featured above are the same tub? Probably not, and certainly not with a high degree of certainty. Spa World is one example of a manufacturer that allows their tubs to be rebranded. The following are 20 (!) of the brand names under which Spa World’s tubs have been listed over the years. Some of these are still being used, some have ceased to exist, and there may be more we don’t know about. While the use of re-branding is technically legal, how can you even begin to track a product’s history and make an informed decision if there is a dizzying diversity of names for the same product? Re-branding not only makes it extremely difficult to research a product due to the sheer number of different names, but it also renders the reviews essentially meaningless because a product that has received many bad consumer reviews can simply be sold under a new name and advertised as a new model – and you would never be the wiser. 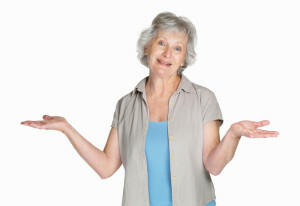 Homeability.com is opposed to the use of re-branding practices for products, such as specialized bathtubs, that a vulnerable layer in our society: the elderly and persons with disabilities, rely on on a daily basis for their safety, comfort, and independence. 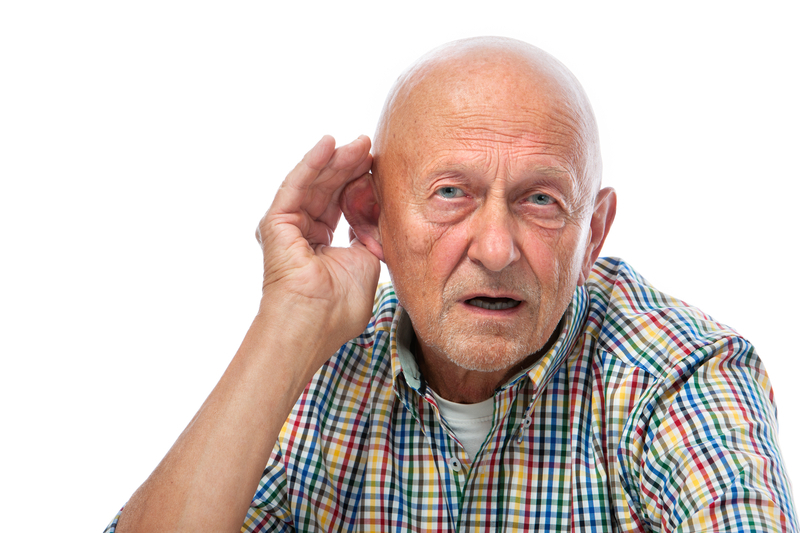 Many products that are specially designed for seniors and persons with disabilities aren’t showcased in local stores, so people are forced to rely solely on online reviews to determine if a product is good or not. We believe it is safe to assume that the person, or persons, who created the first walk-in tub set off to create this product for ALL the right reasons and they should be commended for that. Some people do find benefit from a walk-in tub in the short term when the first signs of balance problems emerge. Unfortunately, it is oftentimes the case that a solution that fixes one problem can inadvertently cause others, which is case with these types of tubs. To learn more about the problems with walk-in tubs, visit: Buying a Walk-in Tub – Your Biggest Mistake? Do not buy a walk-in tub! We hope this article helps to open your eyes and prevent you – or one of your friends or family members – from being caught by some of the “not-so-kosher” practices that are going on in this industry. Walk-in tubs cost a large amount of money for what is often experienced as a useless, highly problematic, and even unsafe product. We do understand and recognize that some of you will want to get a walk-in tub no matter what. If you are one of those, and in spite of all the disadvantages, glaring safety issues and scams, you are still determined to purchase a walk-in tub, you may be left wondering how to navigate the jungle of deliberate misinformation about walk-in tubs to figure out which walk-in tub brands and retailers are reputable and which are not. Our last bit of advice for you is the following: Click here. Clearly, this article is not a bearer of good news if you are someone who is anxiously seeking a solution that will make it possible for you to enjoy a hot soaking bath again. 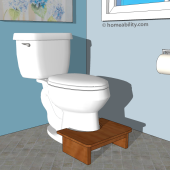 Truth be told, solutions that make it easier to take a soaking bath for persons who experience difficulty getting up and down from the bottom of a standard bathtub are few and far between, but there are other options available depending on your physical skills and the space you have available. We have summarized two of these options below. Do still have reasonably decent balance skills, but simply lack the ability to get up and down from the floor of the tub? If so, one option to consider is a portable bath chair lift. It is designed to lower a person down to the bottom of the tub and to lift them back up when they’ve finished bathing. To learn more about the pros, cons, and types of bath lifts, visit: Bath Chair Lift Guide: The Basics..
A Slide-in Tub, like a walk-in tub, has a door located in the tub’s sidewall. The critical difference is that when a Slide-in Tub’s door is opened one side of the bath seat is exposed, making it possible for you to sit down on the seat first and then lift your legs into the tub (no stepping in required) or to slide sideways from a wheelchair seat to the tub seat. The Slide-in Tub models equipped with a door that swings outwards can be opened anytime (at the expense of flooding the bathroom), thereby reducing the risk of being trapped inside. Visit the Slide-in Tub Bathtub Buying Guide to learn more about the pros, cons, and types of Slide-in Tubs. MORE solutions to make getting into and out of the bathtub easier can be found in our article: Getting In & Out of the Bathtub: Benches, Lifts, and Transfer Chairs. 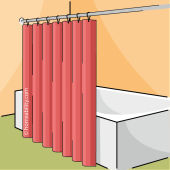 Is your primary goal to maintain safety and independence with bathing and not specifically to take a soaking bath? If so, then we highly recommend to consider having a curbless shower installed. 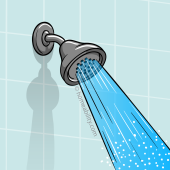 To learn more, visit: Curbless Showers – A Great Age-Proof Bathing Solution!. Note: The information in this article is all true to the best of our knowledge, the results of our research, and the interpretation of our findings. This article was originally published October of 2015. In 2018, we revisited the websites listed in the section above titled “Suspicious Walk-in Tub Websites” and see that a few have fixed some of the problems we identified in 2015. We urge you to use caution when relying on the reviews found on those websites. You will ultimately need to be the judge of whether you believe the reviews posted on them are true or not. If upon reading this article you feel that something is incorrect or you have other comments or suggestions, please let us know via our Contact Page. 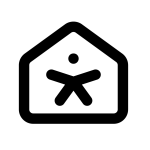 To learn more about homeability.com’s mission, visit Welcome to Homeability! and About Us.